Total Cash Value $340. Limited Time Offer. Total Cash Value $80. Limited Time Offer. Moxibustion is a traditional Chinese medicine technique that involves the burning of mugwort, a small, spongy herb, to facilitate healing. Moxibustion has been used throughout Asia for thousands of years; in fact, the actual Chinese character for acupuncture, translated literally, means “acupuncture-moxibustion.” The purpose of moxibustion, as with most forms of traditional Chinese medicine, is to strengthen the blood, stimulate the flow of qi, and maintain general health. Moxibustion is commonly known to help with menstruation issues, digestive problems, pregnancy, cold and flu, and pain due to injury or arthritis. 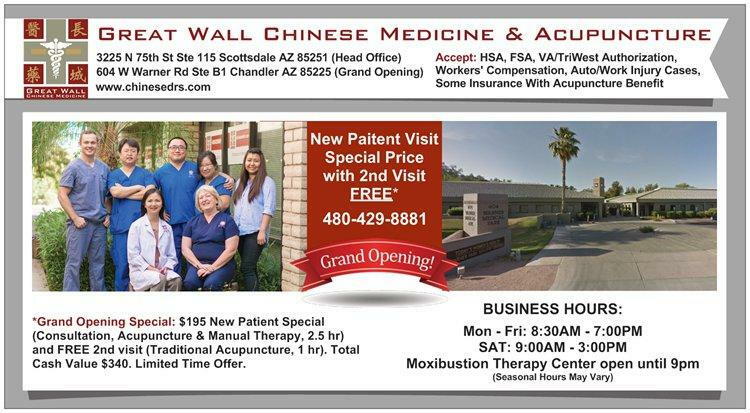 Why Great Wall Chinese Medicine? GWCM (est. 2006 in Scottsdale) is now opening a 2nd location in Chandler. Founder and chief practitioner Dr. Qingsong Xiao Ph.D., O.M.D. (China), L.Ac. 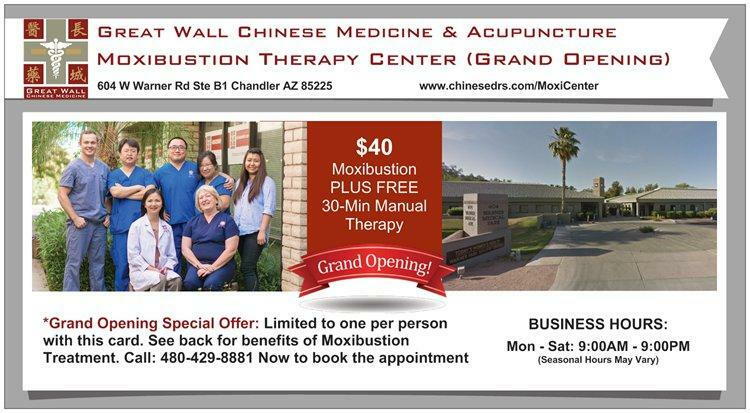 is establishing a Moxibustion Therapy Center at the Chandler location to provide regular healthcare and promote healthy living. 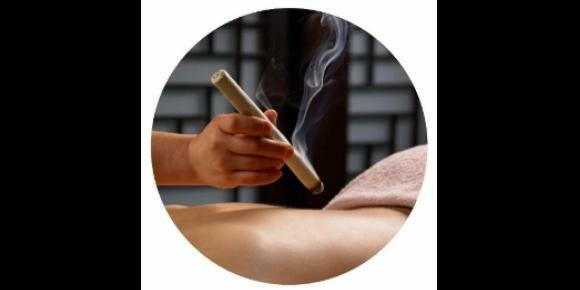 Our Moxibustion Treatment is like no other. In combination with manual therapy, it focuses on enhancing immune system, balancing endocrine, aesthetic skincare, and reducing stress.